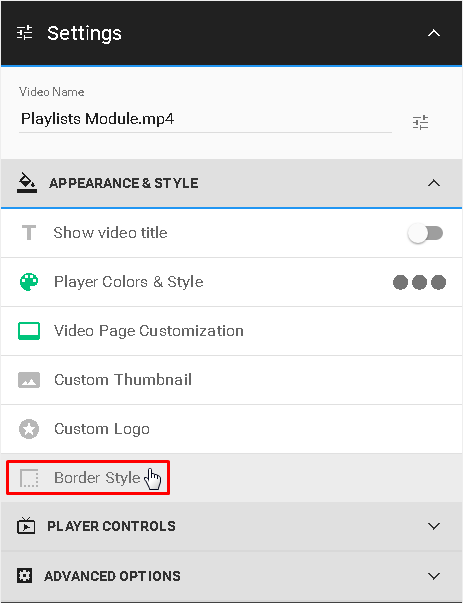 With Border Style option you can add a border to your video, it's settings are under APPEARANCE & STYLE. 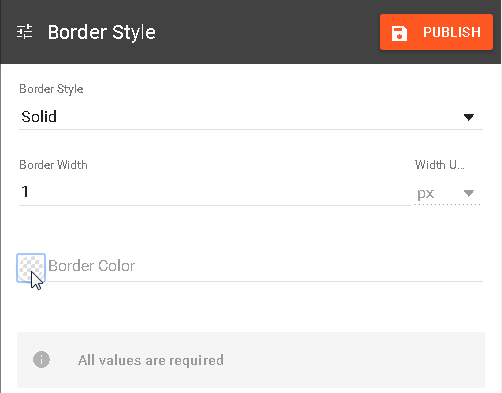 Here you will be able to define your border. Border Width is determined in pixels. 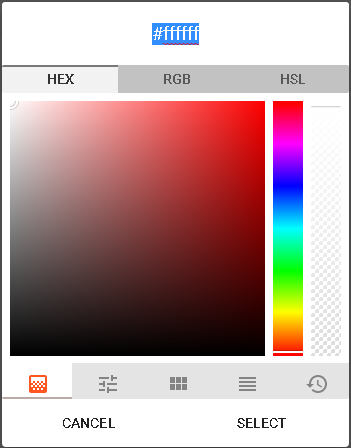 To set up Border Color click the circle icon left from it and you will open menu for colors or you can enter the value manually.